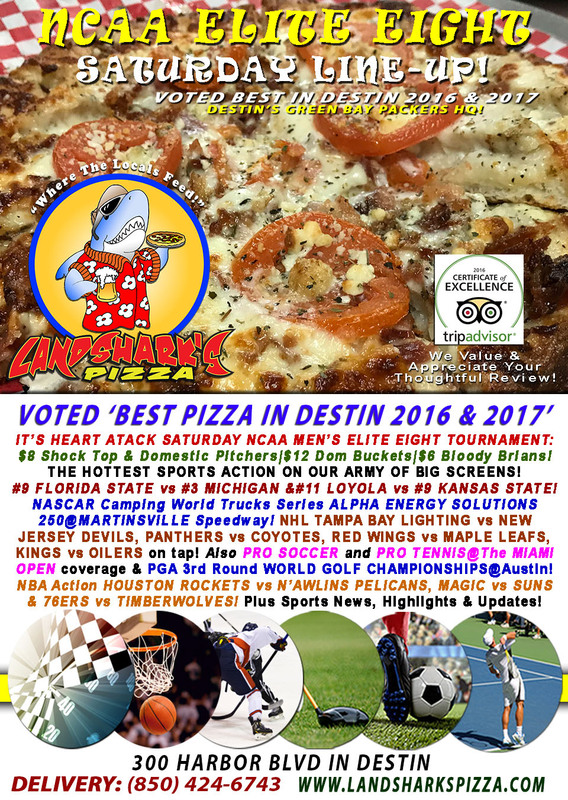 / Best Burger Deal in Destin FL / Landshark’s NCAA Elite Eight #9 FLORIDA STATE vs #3 MICHIGAN|$8 Pitchers $12 Buckets $6 Bloody Brians! 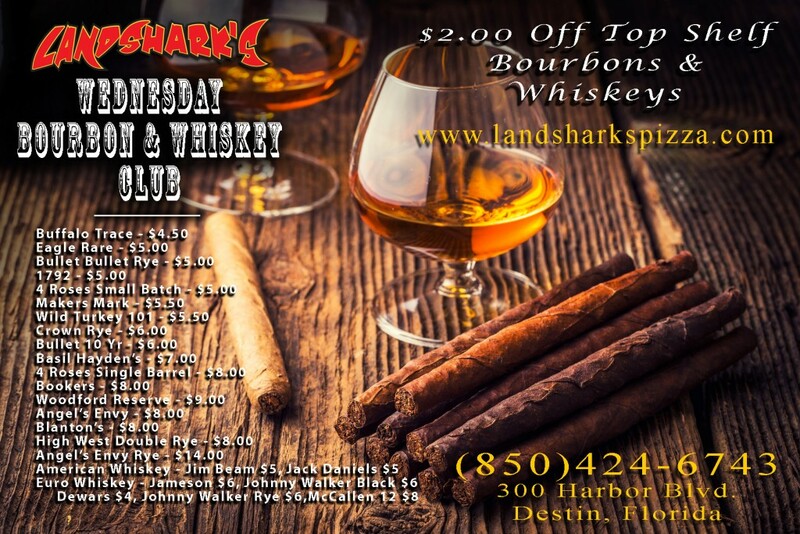 Landshark’s NCAA Elite Eight #9 FLORIDA STATE vs #3 MICHIGAN|$8 Pitchers $12 Buckets $6 Bloody Brians! 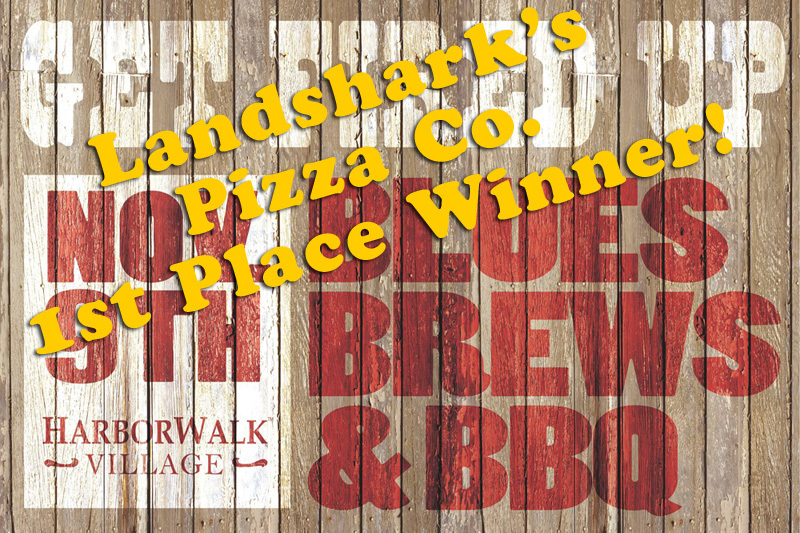 If you have any fingernails left, say GOODBYE to ’em cuz THE ELITE 8 nail biting starts today and you can catch it at Landshark’s Pizza Co! 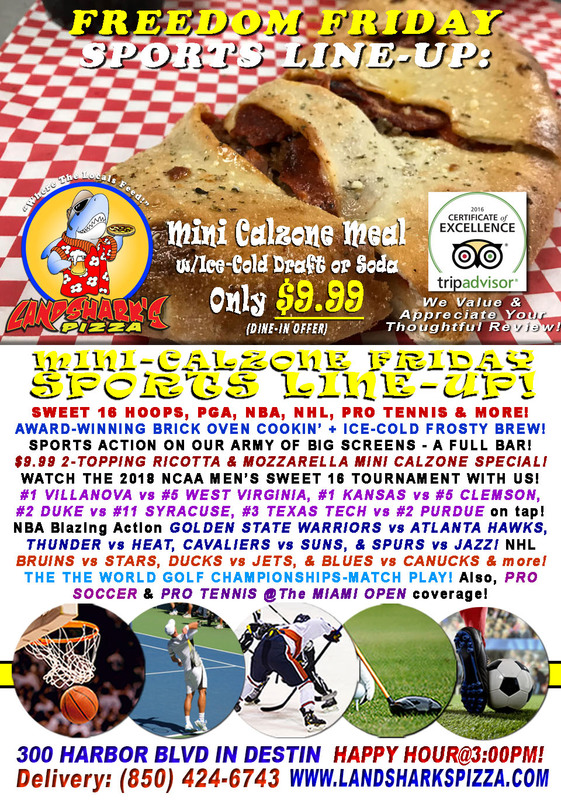 AWESOME GAME-TIME SPECIALS: $8 Shock Top Pitchers|$8 Domestic Pitchers|$12 Domestic Buckets & $6 Bloody Brians! 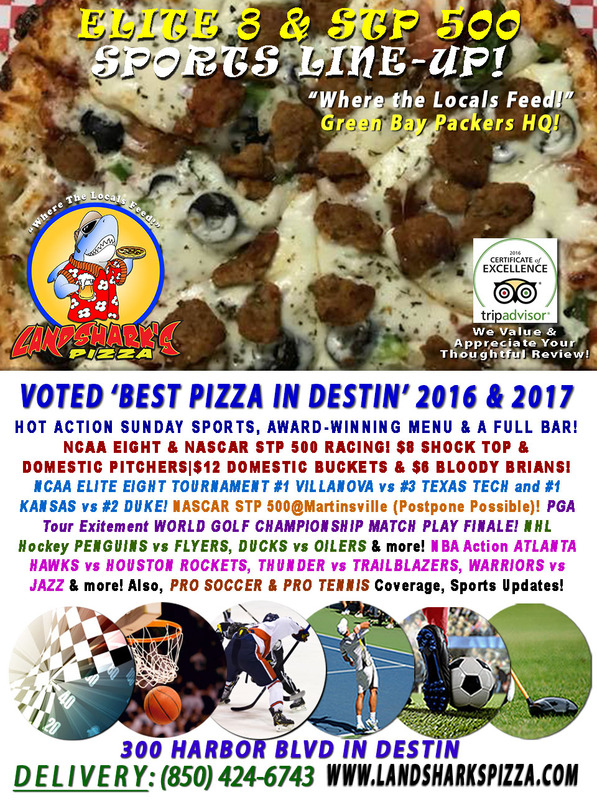 Previous Post: « Dyn-o-mite NCAA SWEET 16 #1 VILLANOVA vs W. VIRGINIA & MORE|2-Topping Calzone & Brew $9.99 NBA|PGA|NHL & More! reat paragraph to improve my know-how. they will take advaantage from it I am sure. Fastidious respond in return of this matter with firm arguments and describing all regarding that. Hello! 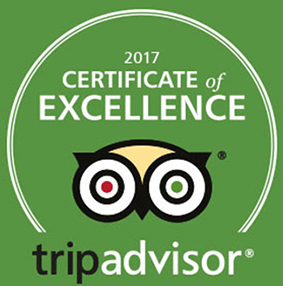 I simply would like tto offer you a huge thumbs up for your excellent info you’ve got right here on this post. Hello, Neat post. Tere is a problem along with your website in web explorer, may test this? IE nonetheless is the market chief and a lawrge component to folks will lerave out your great writting because of this problem. talked about here? I’d really love to be a part of group wher I can get suggestions from other knowledgeable individuals that share the same interest. to write ontent for you? I wouldn’t mind writing a post or elaborating on most of the subjects you write related to here. Thanks for thhe goood writeup. It in reality was a leisure account it. songs existing at this site is really excellent. overwhelmed .. Any tips? Appreciae it! If some one needs to be updated with newest technologies afterward he must be go to see this site and be up to date daily. I delight in, cause I discovered exactly what I used tto be having a look for. Look forward to going over yourr web page yet again. and energy to putt this information together. I once again find myself personally spending a lot of time both reading and commenting. have any solutions too prwvent hackers?